In October 2018 the Heritage Futures project hosted an knowledge exchange workshop on the topic of ‘Transforming Loss’, in partnership with the National Trust, CITiZAN (MOLA) and Atkins Heritage. The 4-day workshop in Suffolk brought together conservation management practitioners and academics to discuss heritage management practices and philosophies that seek to accommodate inevitable loss and change. The event aimed to foster knowledge exchange across different areas of the heritage sector, and to integrate operational and policy perspectives. Discussion was grounded in field excursions to Orford Ness, a shingle spit characterised by ongoing change in both its historic built environment and coastal landscape, and Orford Castle, an English Heritage site which is home to a small museum collection coping with dilemmas around deaccessioning and loss. (Orford Ness is one of three case study sites considered by the Heritage Futures Transformation theme). Workshop activities focused on the potential for framing loss as an opportunity for the emergence of alternative values and relationships, and new modes of engagement and interpretation. On the final day of the workshop, discussion focused on developing an outline framework for managing loss and change, directed to stakeholders in the heritage and conservation sectors, and on drafting guidelines for communication and engagement with diverse publics around themes of loss, change and transformation. 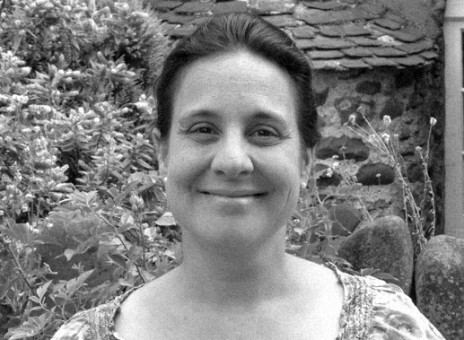 Dr Ingrid Samuel (Heritage Futures Advisory Board member and National Trust Historic Environment Director) opened the final day’s workshop session with her reflections on the workshop conversations, and her thoughts about potential outcomes and next steps. 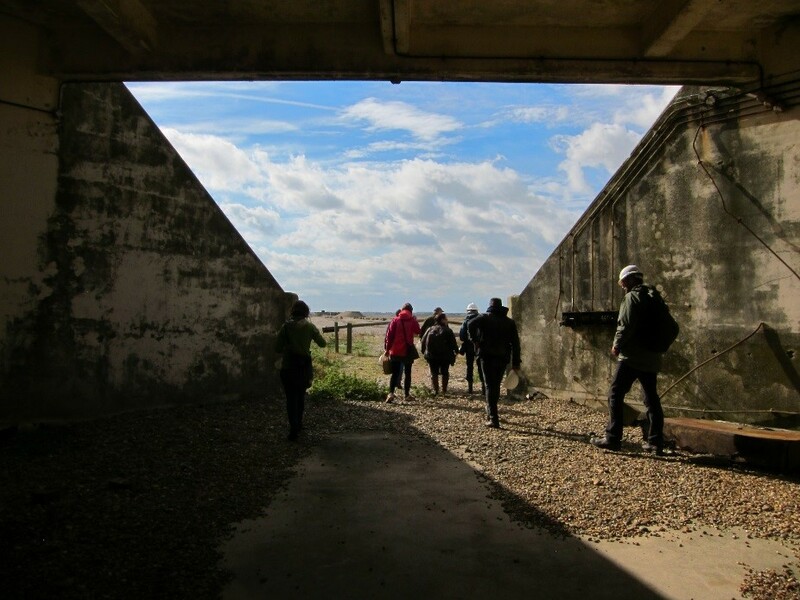 Workshop participants on Orford Ness exploring the A.W.R.E. structures (photo: C. DeSilvey). I will try and pull some strands together about the way the workshop has felt to me, as an opening up [for our conversation this morning]. I think that the conversations we were having yesterday were actually about two kinds of letting go. There may be more, but in my practitioner mind there were two – and it’s worth unpicking them. The first was something around letting go of a thing, letting go of an object, a building. That’s something that’s proactive, it’s controlled – and there’s something in there too about how to let go: how to make a decision around intentional loss, and how to lose well. Then there was another set of conversations we had around letting go as a process, as a kind of activity – and our ability to let go of control. This is the opposite of making an intentional choice. [It is about our ability to give over control] to nature, to communities. When I was talking about people coming in and taking over the museum, Sharon said, ‘well that’s kind of like re-wilding a museum isn’t it? I love that idea – re-wilding museums. So this [second way of letting go] is about becoming comfortable when we don’t know what the outcome is. And it’s about helping those who visit us, or who we engage with, or who value what we value, to feel OK about that too – to feel OK about that lack of control, about ambiguity. This is also what we need to face in the future – and I think it’s worth talking about both [kinds of letting go] in the context of next steps. So let’s start with letting go of a thing, letting go of an object, how to lose well. Actually I think the sector has a lot of tools in this space already. I was really struck by Marcy’s comments about respect yesterday, and what [vulnerable coastal] communities were saying, because when we need to make difficult decisions it’s good to do that respectfully, and that felt like an important concept for me. So I’m going to start with respect for place. What does respect for place mean? Well, there’s something about understanding what is important: understanding significance and understanding values. This is standard practice for the heritage sector. We may do it well or less well, but we do think about these things. We do think about significance, and we think about significance from a range of perspectives, not just that of the expert – we’ve got a lot better at that. What is perhaps less standard, but I think is going to become increasingly a part of our conscious practice, is seeing it through a public benefit lens. There’s something here, when we are making difficult choices, to think about the public benefit provided and how that plays into things, as well as what’s significant and what’s valued. So that’s something for our framework actually – how do we bring into this that public benefit lens, that we are all increasingly starting to think about as organisations? Respect for place is about understanding what’s important, but it’s also about taking a considered approach and not abandoning our responsibility. The conservation management plan (CMP) conversation for me yesterday was really important. In the sector, the CMP is a tool for recording significance and for setting out management practice – taking a considered approach to our management. We talked about CMP structures as not really fit for purpose in this kind of context [at Orford Ness and Mullion Harbour]. My property colleagues are struggling with it, and I think in part that’s because CMPs are about pinning down a set of significances and then capturing how we preserve or manage that in perpetuity. They’re not a tool to help us future-think. They’re not necessarily designed to be fluid and flexible. [The CMP model] struggles with the idea of something being valued for a period of time and then letting it go, so it doesn’t necessarily help us make the big decision. We might need a new tool. What would fit for purpose CMP look like? Do we need a different framework for decision-making? One of the things Hannah [from Historic England] said is, ‘we need a process that is OK with ambiguity and iteration, but that still allows us to reach a decision eventually.’ That second bit is important. We do need people who are managing assets to [be able to] make decisions, so we need a process that allows for flexibility, but also allows us to reach an end point. There’s something here too about remembering that loss isn’t necessarily absolute. There is such a thing as partial loss. There’s such a thing as deciding what values we can hold on to from the whole. Although in doing so we are making judgments and shaping future understanding. 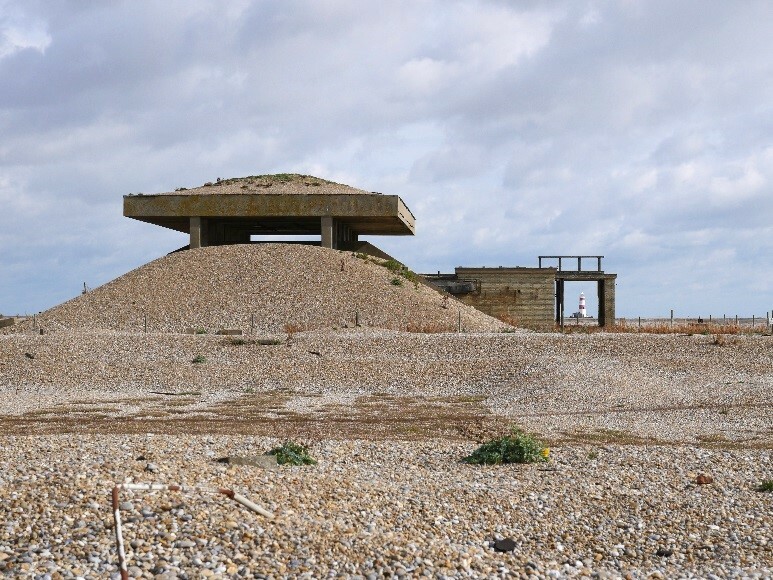 So is it the roof form of the [Orford Ness A.W.R.E] pagodas that is most important? Or do we need all of the structure? Is it right to hold on to some of those values and not all of them? Thinking about partial loss is not so black or white, but it is important. There is a point here about the process of turning heritage into history. Hannah told a really compelling anecdote yesterday about the Happisburgh footprints, which only existed for a short period of time before they washed away, but in terms of contribution, in terms of significance, in terms of the story they tell, the prints remain hugely important – even though they don’t exist anymore. We also touched on NASA and Cape Kennedy – which was an active site, and then a series of historic structures, or ‘heritage’ for a while when there was no space program, and is now in the process of being re-purposed for the mission to Mars on-site, but also turned into a space museum off-site. So in a way built heritage is becoming history, and being delivered differently. We invest things with meaning but what do we do when heritage becomes redundant? When it no longer has a functional use, or is needed for something else, but still has a story to tell? Can we think about it being OK to lose the ‘thing’, to allow it to become history and tell that story in another way? When we consider letting go, what do we retain and showcase? How do we still tell its story? How do we allow it to become history – gracefully? Is that right? Two related challenges I saw in the respect for place box are about consistent decision-making – ensuring respect is not arbitrary – and scalability. In places like Orford Ness we’re coming to understand vulnerability and value on an object-by-object, building-by-building basis. We can do that, but how do we understand things on a larger scale, and use that to prioritise and make decisions? How do we bring it all together and how does that inform us when we’re trying to decide what to save, where to spend money, how much is the right amount to spend? It shouldn’t just be about what is most visible, so we need something that allows us to scale up and prioritise. Hannah and I also had a conversation about local consistency. She is very much of the opinion that legislation, regulations and policies are not blockers to managing loss well. I think she is right – there is space in our regulatory principles. Local interpretation, though, is often a problem. There is inconsistent practice. It can be quite subjective and arbitrary [what Historic England inspectors/ local authority officers decide]. Regulatory decision makers can interpret what they are being asked to do differently, and if we can’t set a clear set of expectations that’s problematic. It’s equally true for managers. Every day I see similar challenges emerge, but the approach to take is not always clear, and we’re not always great at learning across a big organisation like the NT. Grant Lohoar, Coast and Countryside Manager for the National Trust at Orford Ness, pointing out concrete decay in Lab 4 (photo: C. DeSilvey). An illustration of this is yesterday when we were in Lab 4, and Grant saw the decaying concrete at the top, and he said ‘I don’t know what to do with that? Do I pull it down? Do I repair it? Do I…’ I had the exact same conversation in Northern Ireland at Down Hill, an 18th century unroofed mansion property. They didn’t know what to do either, so it’s a shared problem. Actually the sector is not bringing people together enough to talk about that, and we’re not necessarily setting expectations and policies for consistent practice. So there is something about our need to understand the issues that come up again and again, and where we need clear policy. What do I need to set across the National Trust? What do Historic England and the other statutory bodies need to set in terms of helping their people to interpret policy in a way that is clear and consistent? Respect for place – that felt really important. Respect for people also felt really important yesterday. Marcy made a powerful point about understanding and starting from where people are at. Many of the Trust’s supporters and members feel that they want us to ‘preserve it exactly as it is now and forever’. But, equally, there are people out there who say [of Orford’s buildings], ‘it’s all ugly, it’s in the way of nature, get rid of it.’ These are people who are starting from different places – and in both cases we need to recognise where they are, and recognise too that neither place is likely to be where the National Trust is at. We have been doing our own internal thinking, and will have a different perspective again. We need to work with that – think about how we respond, how we listen, and how we take people on a journey to a decision point with us. We need to understand and respect what matters to them. So there’s something in this space about better approaches to consultation. How we get better at more than one-off consultations – sometimes having an ongoing, iterative conversation instead. I loved the idea of site-based interpretation yesterday. Could that debate [about management options] be part of the story we tell on site and engage people with? Those of you who haven’t fallen asleep yet are going to have noticed that so far all I’ve talked about is losing things well. It’s all in that first box. It’s about the confidence to make difficult decisions, because we have confidence that we’ve done it well and we’ve done it with respect. It’s about the confidence that we are being consistent, and it’s about the confidence that your organisation and the regulator will stand by you when you make that decision. That last one is really important. It’s about co-ownership and support. Whatever we do in this space I think it’s really important that we go forwards together. This is difficult stuff and we need broad shoulders across the sector to do it well. This includes our academic partners, but there is a challenge here because the kind of collective engagement we tend to have is brilliant events like this, and then separate academic output somewhere else. That’s understandable, but how can we move to a new kind of relationship where we draw on the best of research and practice in an iterative way that really shapes and changes how we do things. I’d love us to think about that as we go forwards. But to return to that other kind of letting go: letting go of control. Not knowing the outcome when we start. If we’re thinking about a framework, what do we need to face an uncertain future? There are lots of tricky things here. At Orford we can make a decision and say we’re going to let it go. In fact we’ve made that decision several times, but we can make it again. But Grant pointed out that those building are concrete bunkers. Some of them are going to last for thousands of years. So what do we do in that period of uncertainty? What do we do while nature takes its course, while things are in the process of becoming? How do we manage and understand stages of that process? How do we help our visitors and the public to deal with that? And for me as a practitioner, a really important issue is how do we help our staff and our volunteers, and Hannah’s inspectors, to deal with this long, drawn-out process of ambiguity and change? What is the wider community of research and practice that we should be drawing on? Can we build up the evidence base? Can we build up case studies to inform practice and build confidence? Can we inform international frameworks for things like climate change and loss, to ensure heritage is recognised and is embedded in that? What are the disciplines that we should be drawing on? Hannah talked about psychology and managing grief and loss. Do we even know how to get the questions right? Because there’s one more kind of letting go of control that we talked about – which is not about letting go to natural process but to people. It’s back to re-wilding the museum, about co-creating solutions in the hope of co-owning them. What do we need to do in this space? Across everything we talked about over the past several days, there is something here about organisational attitudes to risk, about coping with the ambiguity of starting something when we don’t know where it’s going to end. How do we move that forward? My final comment is about language – because language matters. We have talked about ‘tipping points’. We’ve talked about ‘loss’; and we’ve talked about ‘change’. Language can be a thing to hide behind, a series of euphemisms. But it can also be a way to help people. Perhaps talking sincerely about ‘change’ instead of ‘loss’ is an important tool to help people cope. There is possibly something to take forward here – how do we develop a considered and respectful approach to the language we’re using? And aim for a shared vocabulary? So those are my observations from yesterday, and some of the things I think we could continue to work on. I would love to be part of that. But I have one final thing to say and that’s really to the Heritage Futures team. I’ve been with this project for four years, since the beginning, and some others in this room have too. I’ve spent some of that time haranguing academic colleagues about impact, and about outputs that practitioners can use. I still think that’s important, but I’ve also come to recognise the constraints that you are under – what you are actually being asked to deliver by your institutions, and how that can make it difficult for you too to achieve what you’d like in our kind of integrated space. So I’m going to offer you a form of impact that I think you have achieved absolutely and unambiguously – and that’s to say that for me personally this has been the longest and best period of continual professional development that I’ve ever had. It has genuinely been an incredible experience. I have taken papers to my Board of Trustees and said things to them that I may not have said without you getting in my head and making me think. Or maybe I would have had to say it anyway because the world is forcing change, but I wouldn’t have been able to do it with the confidence that I have. I’ve had the opportunity to explore relevant issues quite deeply with you first. So it’s been an amazing period of CDP for me. It’s also been the most fun kind of professional development I’ve ever done. Those of you who know me a bit know I really don’t enjoy a lot of CDP but this, this I loved. So I just really wanted to say on behalf of myself, on behalf of the other practitioners who have engaged with you over that past four years – thank you very, very much. I hope you know that we have got a lot out of it, and in the words of the Grateful Dead ‘what a long strange trip it’s been’! Across everything we talked about over the past several days, there is something here about organisational attitudes to risk, about coping with the ambiguity of starting something when we don’t know where it’s going to end. How do we move that forward? Many thanks to Ingrid for sharing her comments, and her time over the life of the Heritage Futures project. More information about Heritage Futures research at Orford Ness is available through the links below.